January 11, 2019 by benign0 0 comments on "Kris Aquino lawyers issue threats of LIBEL lawsuits against media covering #PABoost scandal!" Kris Aquino lawyers issue threats of LIBEL lawsuits against media covering #PABoost scandal! It seems Kris Aquino Inc is on the warpath and is mobilising its vast resource to crush the spread of information deemed damaging to the personal brand of the Crazy Rich One. While we recognize your constitutional right to free speech, free expression and press freedom, we reiterate that Libel is not protected speech. Thus, we caution you from airing or broadcasting these interviews without verifying the allegations or securing the side/explanation of our client. Every defamatory imputation is presumed malicious (Article 354, Revised Penal Code). Liability for defamatory statements published by radio or television may be had from the owner of the station, a licensee, the operator of the station, or a person who procures, or participates in, the making or caused the broadcast or publication of the defamatory statements. Lawyer Jesus Falcis, brother and spokesman for Nicko, Aquino’s former business manager has since issued a statement denouncing Aquino’s crackdown on developing news surrounding her financial dealings with social media influencers (following excerpt also featured in the same PEP.ph report). Kris Aquino’s attempt, through her lawyers, to intimidate and prevent the media from airing our side is like the last gasp of a delusional queen who is afraid of losing credibility and power because her fake image will be unmasked. It can be noted that many of the Crazy Rich One’s purported business associates such as “legal consultant” Gideon Pena had gone silent since the scandal erupted. Some Netizens known to be rabid supporters of parties loyal to the Aquino-Cojuangco clan such as a certain Mia Magdalena Longid, Registrar at the prestigious Brent International School, deactivated their Twitter account altogether. Evidently, Aquino is fighting a PR battle on two fronts. 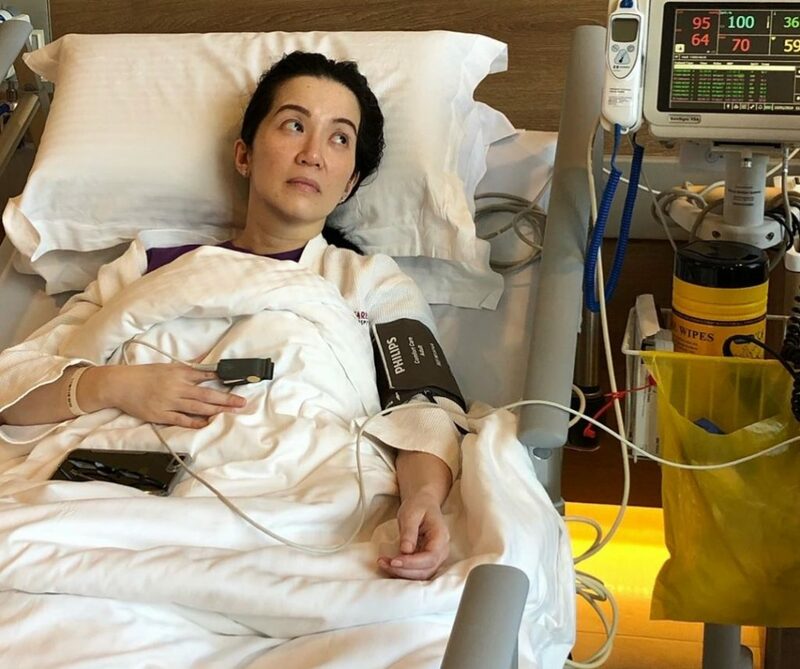 One is the “bad cop” front being led by her lawyers described above and the other the sympathy front as shown in a recent photo of her in a Singapore hospital published on Instagram. Indeed, a true media circus by all accounts as only the Queen of All Philippine Media could mount. But her efforts to “manage” this circus will undoubtedly have a chilling effect on the entire media industry. Previous Previous post: Possibility of #ZeroOtsoDiretso2019 is starting to get more and more real!